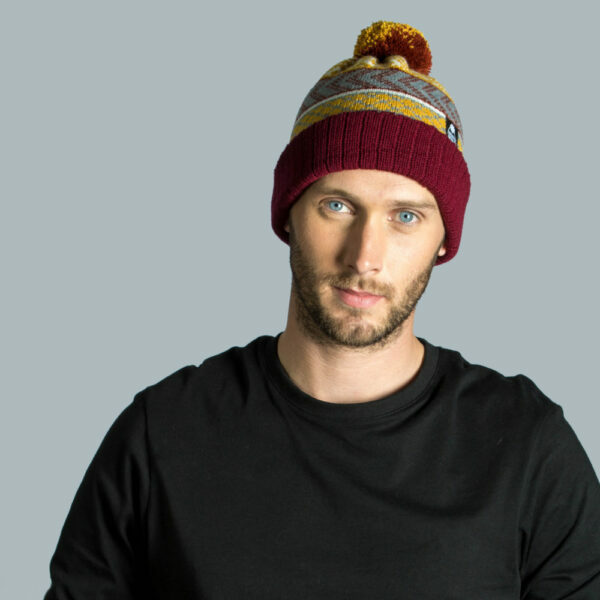 We’ve used a warm combination of colours for this Wonky set combining burgundy, mustard, rust, cream and soft grey. 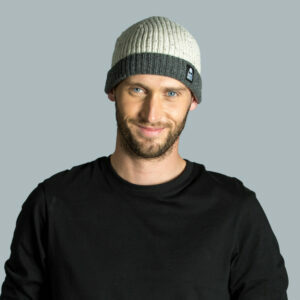 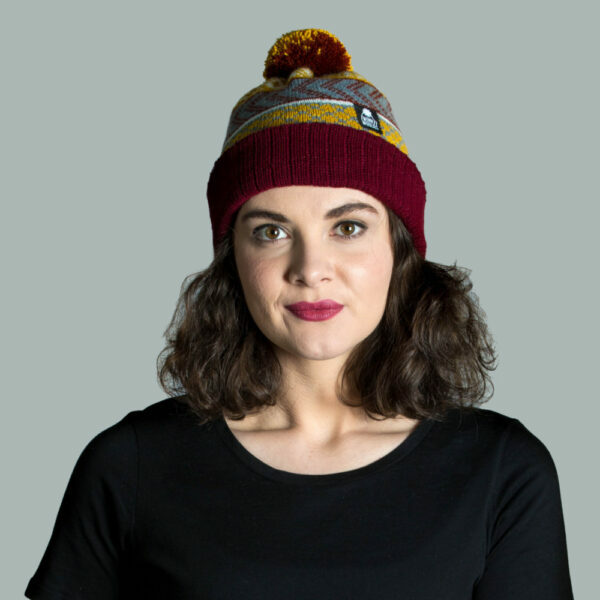 Our new short style fits snuggly on your head when the ribbed section is rolled up or you could wear it slightly longer if you roll it back down. 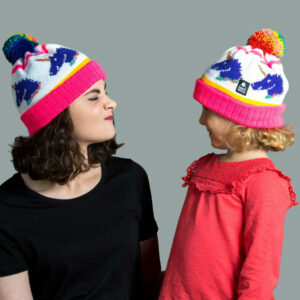 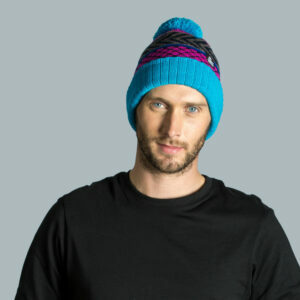 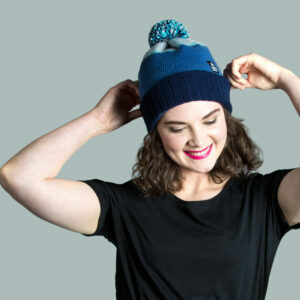 It’s made from soft and durable acrylic yarn which will keep the colours nice and bright for years to come. 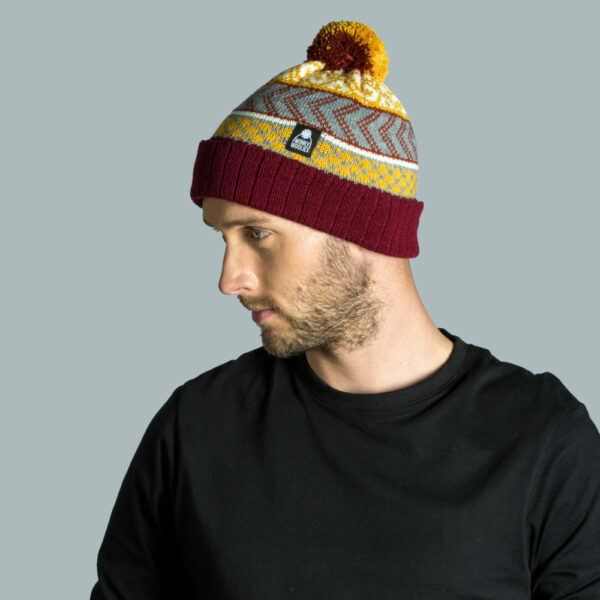 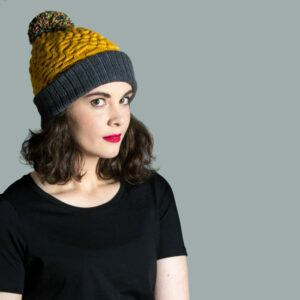 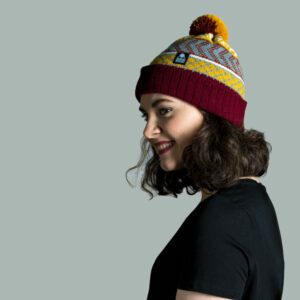 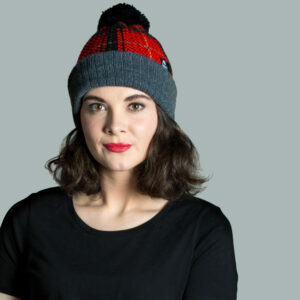 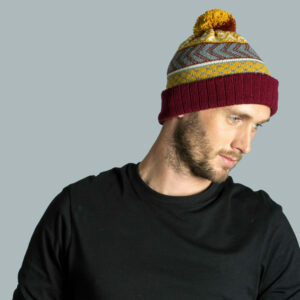 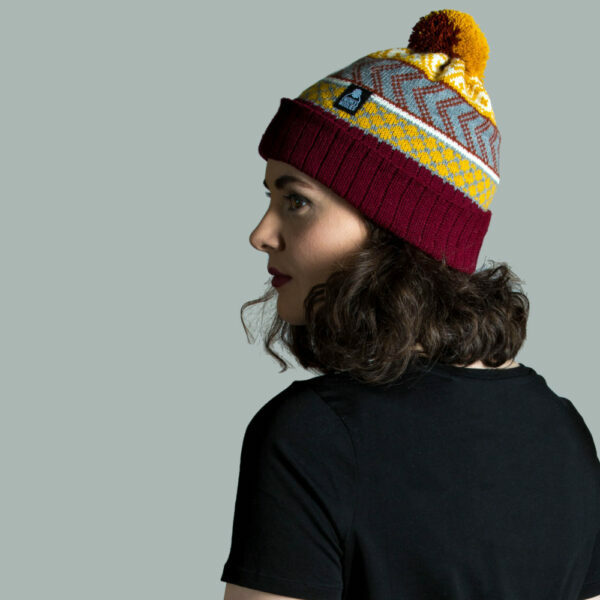 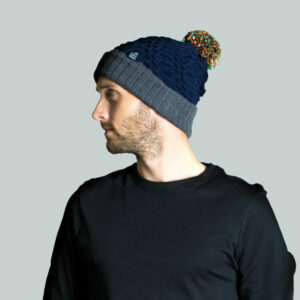 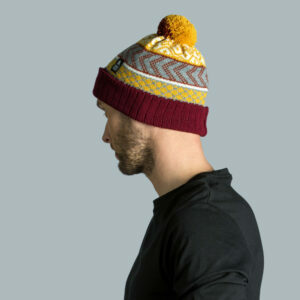 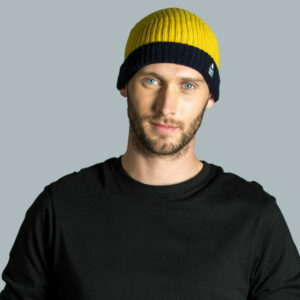 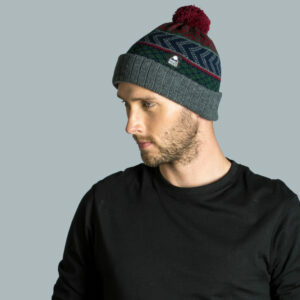 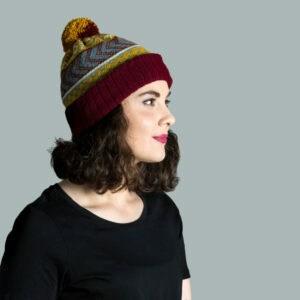 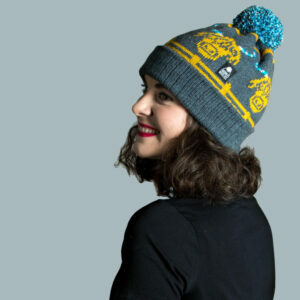 We’ve topped this hat off with a small size bobble combining rust and mustard colours to add further interest to the designs.